Within minutes of having posted the one below, I got several mails sending me the MP3 version of Kajra Mohabbatwala. I am extremely humbled for the kind gesture shown by all of you who commented / sent me the song. That a small request from my side could elicit such a response had me thanking God for keeping me in such good stead. Thank you once again good people. Its extremely kind of you, to say the least. u r most welcome chinmayi!! Hi akkaa.. you're alwys welcome .. but i wasn't able to send it earlier though i found the song in few minutes 'cause i actually saw your post exactly 24 hours after you'd posted since i had exams ..
u r most welcome Chinmayi. Since u r very humble and simple, everyone wish to help you. This comment is absolutely nt related to ur post. I am sure, you will not /would not like to comment about this comment. I need a place where I can express this and I feel out of many options this is the best option.Why this much favoritism show towards raginisri in Airtel Super singer?Her musical content is good, but it is not flawless to go thru competitions. We are talking about performances and how much luck is favouring you on that day. Her voice cracks the most, not just the recent performance, in every show. She might be a great singer on all the other days. On the day, when I see the show , she is nt. Srinivas - I always had great respect for him wrt him identifying talents, u r the best example.Comments like "one and only raginisri, uffffffffffffffffffff".she doenst even have a good range. She cant sing any higher notes, without cracks and why is there sooooo much partiality?Many a days judges say "this is nt ur day" to others and eliminate them. Why is that not happening to Raagini? Many see this program with loads of passion.I am one amongst that.I wont be surprised if ragini reaches even the finals with this much backing. Honestly, as a good fan of music and chinmayi, Ragini shouldnt have even come up till this level in airtel super singer. You Moron google for Kajra Mohabbat Wala you get the video song and convert it .. wasting a lot of bloggers time. Geetha, I don't think the girl's already got to the level of a celebrity to accept any kind of public criticism. I suggest you find ways to keep them private. :-)) Chinmayi, You must be a real sport to have published the foll. comment! My answer to the anonymous moron: You are right. But shehas fans and friends who wud love to spend time for her that way. What's wrong in taking a wee bit advantage? And one more thing, I loved the way you cheerily interacted with the kids in Super Singer Junior. I don't see you doing that much now. Is the show's format that way or you don;t feel comfortable doing the people of your own age group? My post here is totally unrelated to the topic.I am here for a small obligation.My name is Ajay and I am doing my masters in Chicago. I have a friend of mine shankar who is suffering from blood cancer for the past 1 year.He is right now critical and needs immediate treatment He is admitted in apollo hospital for treatment.Here is the link www.saveshankar.com Chinmayi, I would be more than happy if you can post this link on your blog so that the visitors to your blog might have a chance to look in and donate.I would also be glad if you can take my friend's situation with NGO'S you are aware of in chennai and around.Thanks so much in advance.Please help! thanks again :)I have been always moved by you as a person more than as a singer.Stay the same.That's why you are liked by everyone. Totally out of context comment, please forgive me. A compliment that your shouting is considerably reduced this year compared to previous shows of "Super Singer" in Vijay TV. If you can talk normal (like Suhasini in Hasini Pesum Padam), I am sure you will get older generation's attention too. Just a suggestion! Loook at the form and shape your blog is taking now.I see a great shift. I am sure you have realised it too.I see it going even towards a higher level.Nice to see that ur blog is used for many good things. No need to post this comment:). You may reply if you wish to. Arun, Lets not use chinmayi's blog to argue with each other.It has some better purposes. Still, to end this discussion, I guess each and every person has their own opinion and everybody will try to express it in the best ways possible. 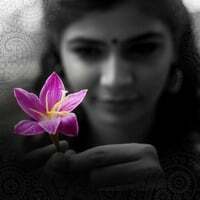 I found chinmayi's blog the best and apt forum for my own convincing reasons.The blog was not just focussed on ragini, if u read it carfeully. So next time please don't request, just ask for it and you shall get it.